Tandem Bank offering free shares? Want to be a co-founder of a new bank? 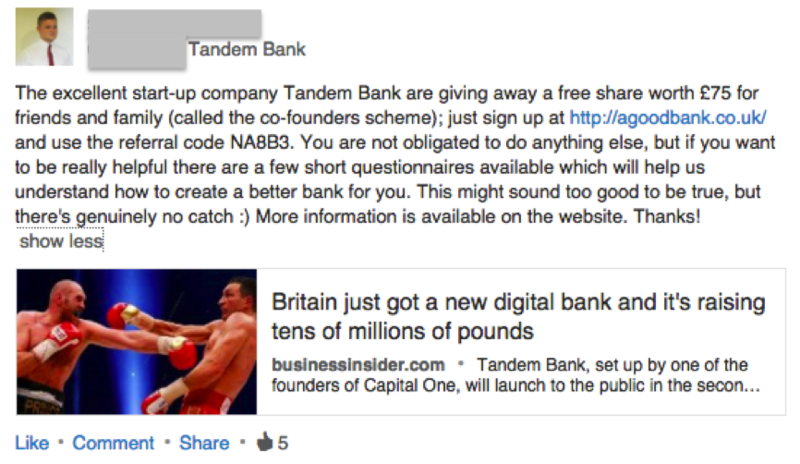 Tandem Bank (set to launch later this year), are reportedly offering you a free share worth £75. How do you get your free share? Just last week, rival bank Mondo, completed its £1 million crowdfunding campaign in just 96 seconds, becoming the fastest crowdfunding raise in history. When it first launched its campaign, it crashed the servers of its crowdfunding partner. Based in London, Tandem Bank is founded by Ricky Knox (founder of money transfer service Azimo) and Matt Cooper (co-founder of Capital One). 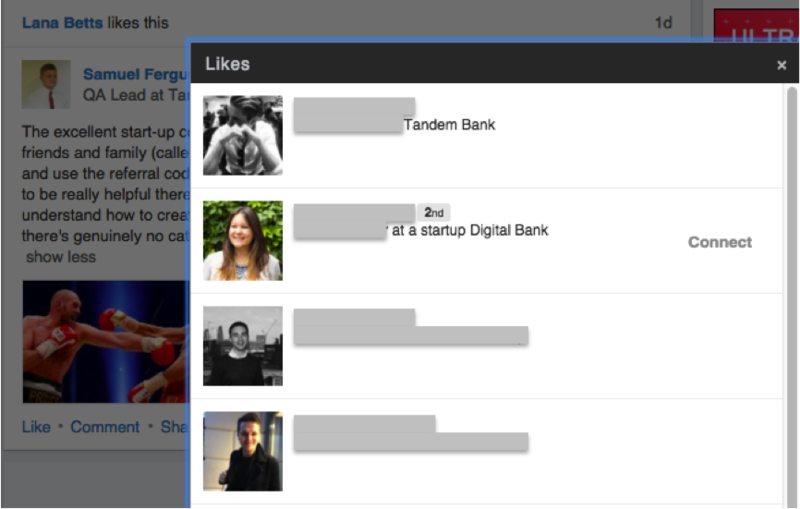 Tandem has reportedly raised close to £100 million to date, and announced that it had received its banking license in December 2015. It plans to offer current accounts, credit cards, savings and loans products when it launches. Last year, Knox was quoted as saying, "we want to build a bank that puts customers’ interests first and by working in Tandem with them as their partner in money. It means we can be a bank that truly champions its customers, and we plan to prove it at every point." Details of the ‘Co-Founders Scheme’ were posted online by a member of the Tandem team. We don't know how long this scheme will remain open, but we’ll update this post if we hear any more. Until Tandem Bank launches, check out our other current account reviews.